It’s easy to think of Digimon as a simple Pokemon imitator. After all, they’re both media franchises focused on raising and battling cute, fantastical monsters, and they both have “mon” in the name. Really, they’re quite different beasts: Pokemon’s always been a video game, but Digimon began life as a virtual pet – a more “masculine” twist on the Tamagotchi – and video games were a natural part of its growing media empire. It may seem like I’m splitting hairs, but the difference is significant. There are obvious similarities, especially after 20-odd years of each franchise influencing the other, have their similarities, but Digimon still wears its digital pet origins on its sleeve. That’s as true in Digimon World: Next Order —the 39th (!) Digimon video game — as it’s always been. Digimon World: Next Order is a role-playing game, but it’s as focused on the raising aspect of digital pets as on battles and exploration. You spend as much time training your partner Digimon at the gym, feeding them, praising and scolding them for good and bad behavior, and taking them to the toilet. Even when you’re out doing more typical RPG stuff, you have to be mindful of how your ‘mon are doing – not just in terms of HP, but also hunger, stamina, happiness, discipline, and toileting requirements. The best part about all this is how ties into the RPG side of Digimon World: Next Order. A Digimon’s core stats obviously affect its performance in combat, but things like happiness, discipline, and choices of food also have a big impact on how a monster ‘Digivolves’. Each Digimon starts as a baby, and shifts through increasingly powerful forms as it grows–think Pokemon evolving. However, where Pokemon’s evolutions are simple and almost always linear, Digimon’s branching evolution trees mean that each baby species has dozens of possible evolutionary outcomes. Different Digimon have different strengths, weaknesses, and attacks, so how your partner ‘mon evolve has a significant influence on how you approach battles. Those growth paths are influenced as much by simulation stats as by battle stats, so how you raise yours partners is a cornerstone of the whole game. This isn’t some sort of optional minigame line Pokemon Amie. These connected RPG and pet-raising systems creates a simple, compelling gameplay loop that’s a bit like a dungeon crawler. You go out exploring, fighting wild Digimon, and undertaking quests to progress the story, then you come back home to eat, rest, empty your bags, maybe do some training at the gym,and hit the hay. Then you wake up and do it all again, while maybe going further afield or going somewhere different. It’s much like any other JRPG – explore dungeons, kill stuff, and find treasure – but the focus on raising your Digimon and tending to their needs gives the game that simple, comfortable loop that keeps you coming back for more. There’s a point to all this running around, of course: a mute protagonist gets sucked into an alternate world and wants to go home, but doing so means investigating a series of strange attacks and helping the local ‘mon rebuild their city. It’s far from an original story, and not the most compelling, getting what I’ve seen so far. Admittedly, I’m only 10 hours in – much of which has been wiled away on side quests – but what little I’ve seen doesn’t give me hope for a deep, gripping story. There are a lot of other little annoyances in Digimon World: Next Order, too. The battle system is boring, too the point that I avoid forgetting as much as possible – it’s a very simple, shallow auto-battle setup with little room for player involvement. The presentation leaves a lot to be desired: simplistic models and textures, uninspired character designs, and generic environments give the game a bland look, despite its colourful tone. On the other hand, the music is so garish enough that I’ve taken to always playing with the TV on mute, and the English voice acting is cringeworthy. Despite all that, I keep coming back for more. There’s so much depth in the pet-raising aspect of the game, and it feeds so nicely into the RPG side of things, that I can’t tear myself away. It’s not pretty, it’s not groundbreaking, but it’s a hell of a lot of fun. 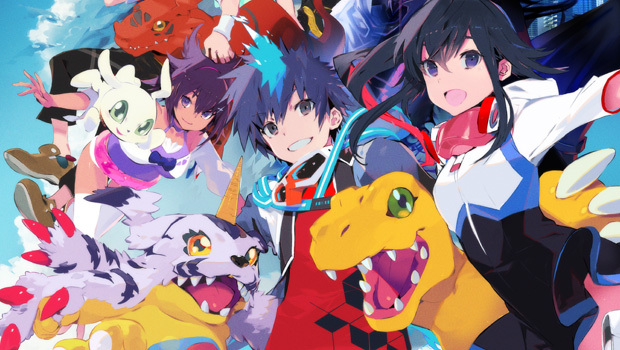 Digimon World: Next Order is developed and published by Bandai Namco. It’s available now for PlayStation 4. A press copy was supplied by Bandai Namco for this article.